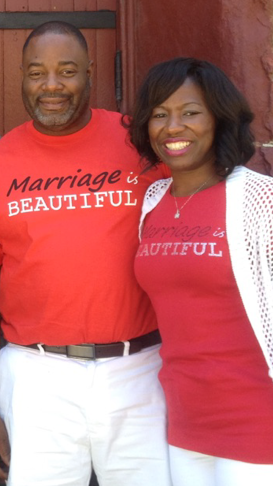 This past weekend, my husband and I along with almost 300 other couples attended a wonderful Couples Retreat. Every year around the 3rd week of July our church (First Baptist Church of Glenarden) sponsors the retreat for married couples. Couples come from different churches and from different states to invest in their marriage. It is a beautiful sight to see! To invest is to use, give or devote time as for a purpose to achieve something. When a couple goes on a Marriage Retreat, they are investing their money and their time for the purpose of strengthening their marriage relationship. A retreat can make a bad marriage better and a good marriage greater. For those who have never attended a marriage retreat, the retreat is a get-away with fun activities, informational sessions that can help to strengthen any marriage, a great time with other couples as well as time alone. Next month, my husband and I will celebrate 17 wonderful years of marriage. It’s wonderful because of Jesus and everything that we have invested into the relationship. There are many different things that a couple can do to invest in their marriage. 1. Take our marriage to church every Sunday, and apply what we learn. 3. Attend the Couple’s Ministry on a regular basis. It’s nice to hear a word that will strengthen our marriage. Sometimes just being around other couples in encouraging. 5. Plan regular dates or time alone with each other and have fun together. 6. Attend a class or conference to help enhance ourselves individually and as a couple. 7. Be intimate as often as possible. 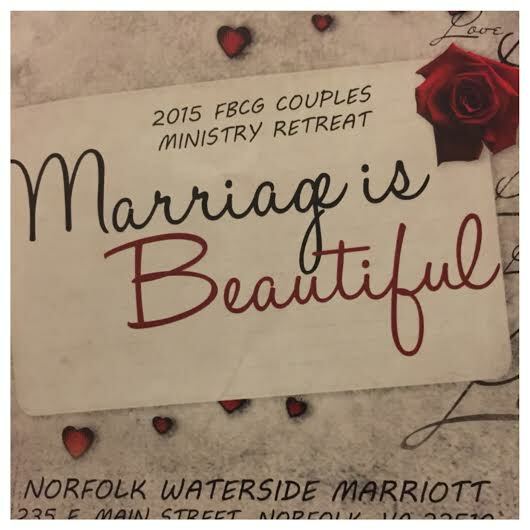 ps I hope that you will join FBCG on the 2016 Couple’s Retreat. I love this it is beautiful! Thank you for sharing!